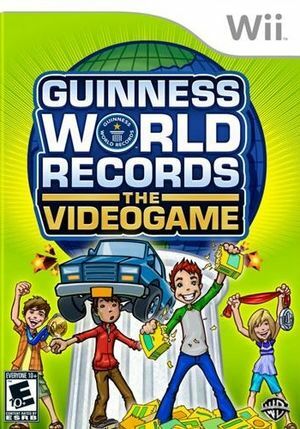 Guinness World Records: The Videogame is full of amazing world records, giving players the opportunity to become a real world record breaker. The game's quick-fire action challenges can be played solo, in teams, or in competitive multiplayer groups. Accessible game mechanics enable anyone to grow the longest fingernails ever seen; to walk a tightrope across the Grand Canyon; or even eat a jumbo jet, but true skill and dedication will be required to compete at the highest level. The ultimate prize: you may see your name appear in the official Guinness World Records book. This game does not boot in JIT or JITIL with various bugs. Cached Interpreter/Interpreter both can boot the game. After the game is booted you can create a savestate and switch over to JIT/JITIL for better performance. Fixed by 5.0-3860, PR #5440. The graph below charts the compatibility with Guinness World Records: The Videogame since Dolphin's 2.0 release, listing revisions only where a compatibility change occurred. This page was last edited on 11 January 2018, at 11:54.